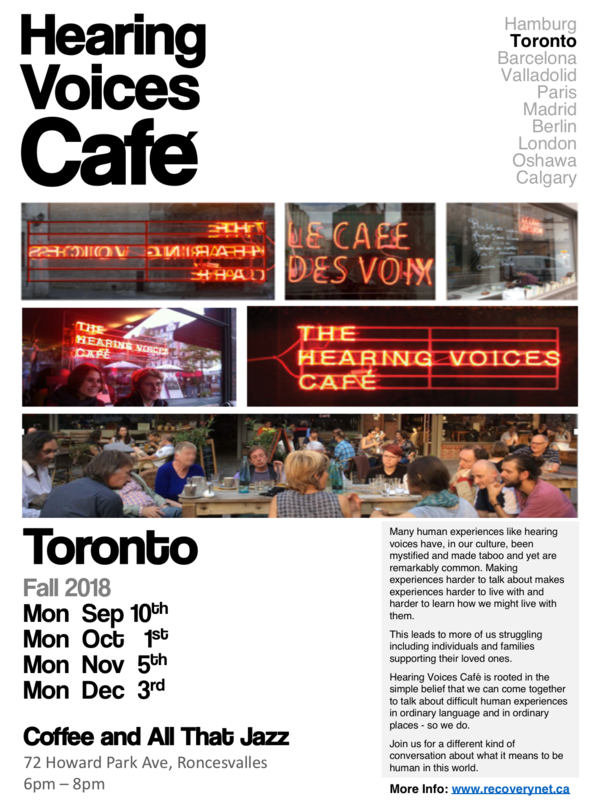 Hearing Voices Cafe is open to all – we invite you to join us in a different kind of conversation about what it means to experience being human in this world. Many human experiences like hearing voices have, in our culture, been mystified and made taboo and yet are remarkably common. Making experiences harder to talk about makes experiences harder to live with and harder to learn how we might live with them. 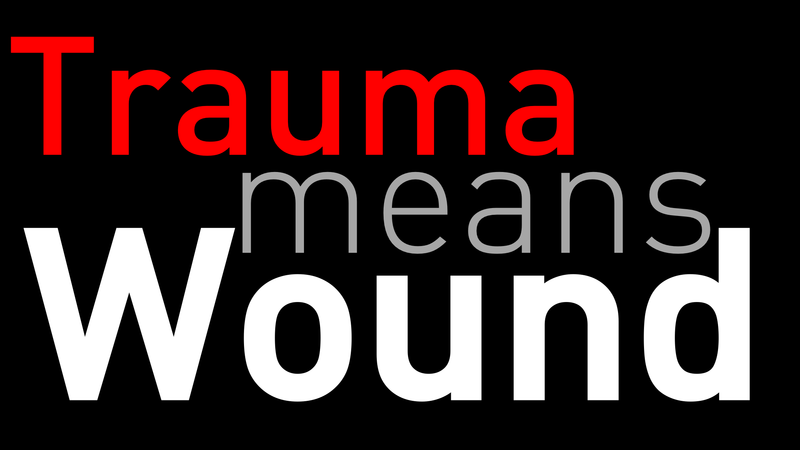 This leads to more of us struggling including individuals and families supporting their loved ones. 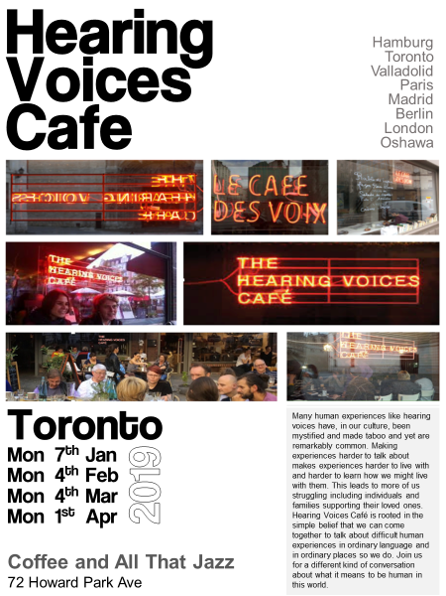 Hearing Voices Café is rooted in the simple belief that we can come together to talk about difficult human experiences in ordinary language and in ordinary places – so we do. Join us for a different kind of conversation about what it means to be human in this world. We meet monthly – [usually] first monday of the month, 6pm to 8pm. Note we take a rest in Aug.
See the poster for forthcoming dates. We begin our fourth year in Sep 2018. 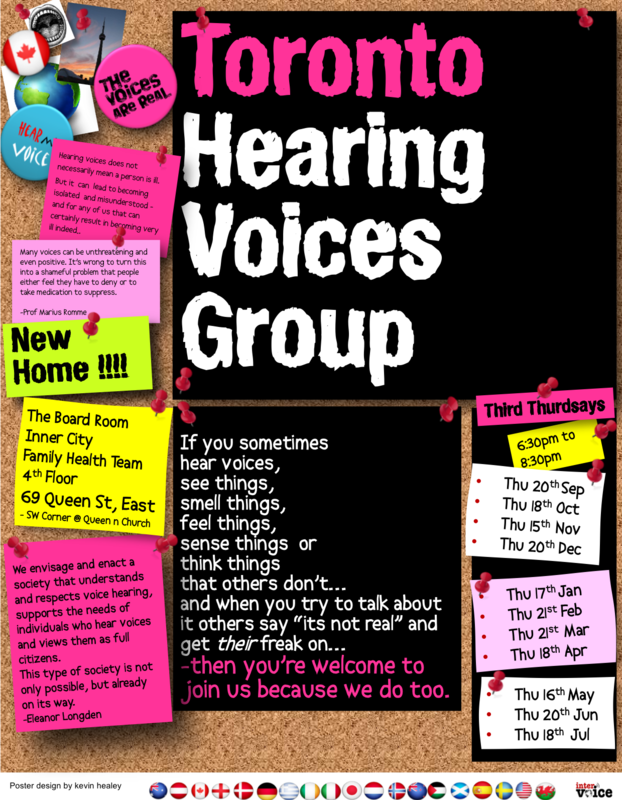 What is a Hearing Voices Cafe? Here’s a brief segment from CBC Radio’s Metro Morning with Matt Galloway aired on Tue 3rd Nov 2015. Reporter-Editor Mary Wiens spent time talking with folks at The Hearing Voices Cafe, Toronto. Many thanks to Mary, Matt, at Metro Morning and to Sue and David at Coffee and All that Jazz. The first HV Cafe was in Hamburg. Toronto was the second – but the first to become a regular feature in the landscape. Artist Dora Garcia is the cosmos-rocking creative force behind bringing people together this way. For more information check out here… HV Cafe and more links at the foot of this post. This entry was posted in Event, Ideas. Bookmark the permalink.